Owning the Berlin II is like being stuck in Barcelona because of a missed connection — there are a lot of worse places to be, and there are tons of worse bags to have. It’s my turn to review an ONA bag. 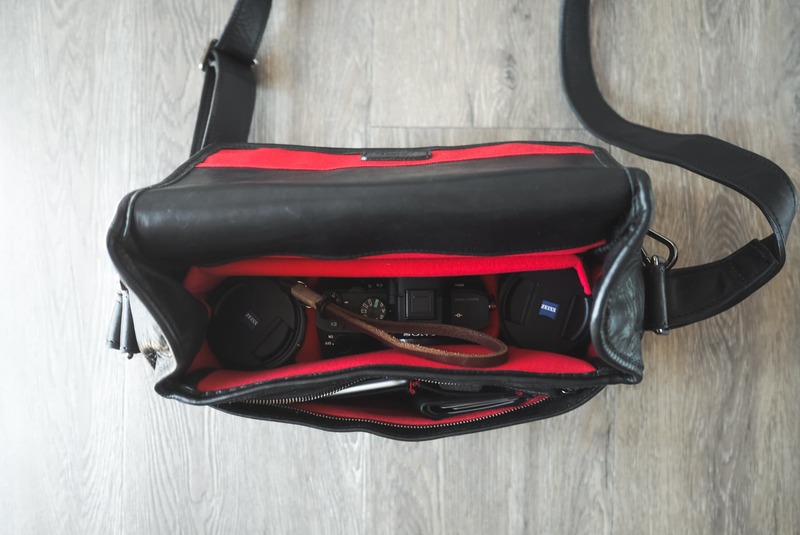 Admittedly, we’re fans of ONA’s camera bag offerings here on Tools & Toys. After Mike, Álvaro, Ben, and Shawn reviewed each of their ONA choices, I couldn’t help but feel like I wasn’t part of the club. 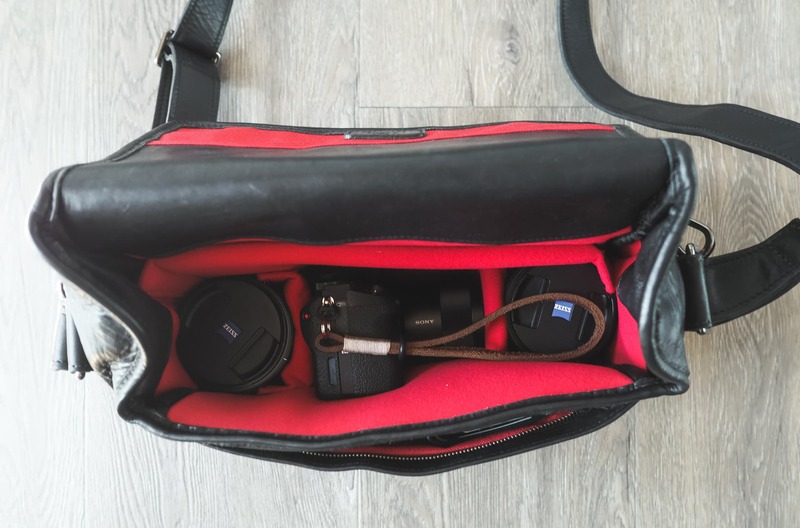 I used to have an old sling-styled bag to carry around an Olympus OM-D E-M5 Mark II and a few extra lenses, but it lacked the style, utility, and zest I was seeing in those reviews. I just plain wanted an ONA bag. Of course, to stand out, I went with a more unique messenger-styled option which we hadn’t already reviewed: the Berlin II. In reality, the Berlin II is hardly unique — it’s just been designed specifically with the Leica M system in mind. I figured if I couldn’t have a Leica M, I could at least treat myself to a high-stylin’ Leica M bag. 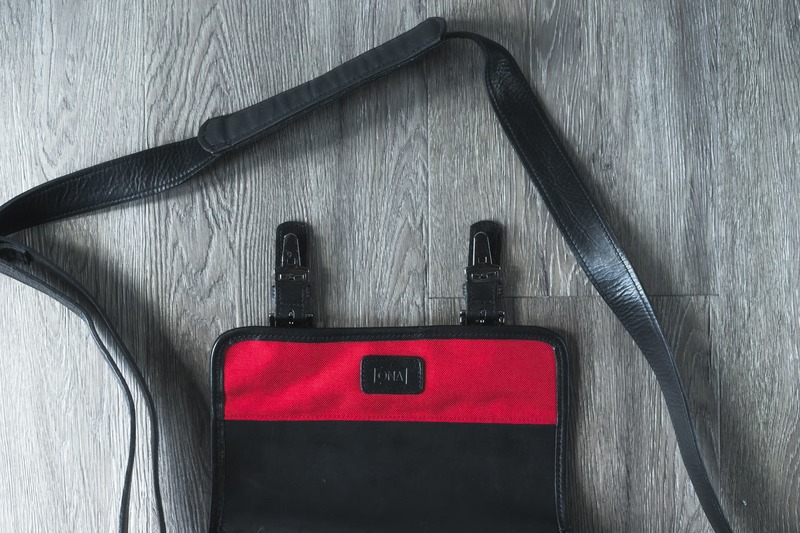 The ONA Berlin II is another messenger styled camera bag from ONA. It’s been designed specifically for the Leica M system, but can be used for other cameras as well. 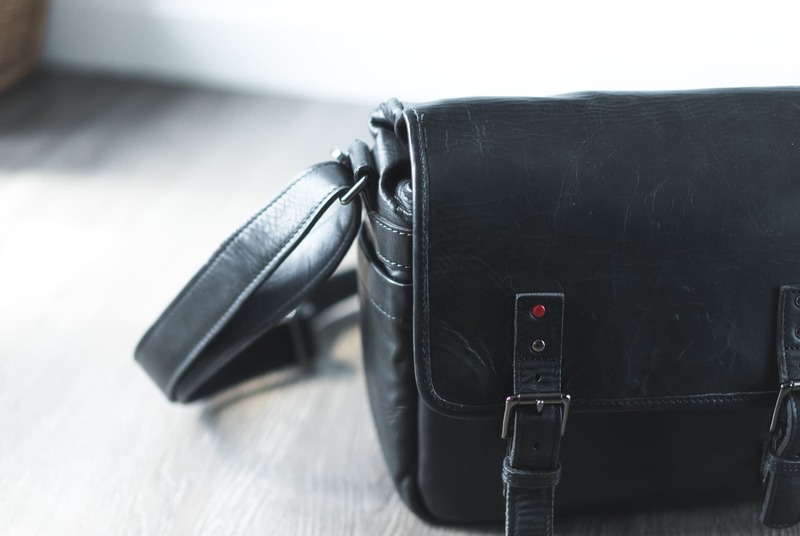 And that’s what this bag is: A stylish, fashionable leather bag which carries a camera, a few lenses, some odds and ends, and an iPad. 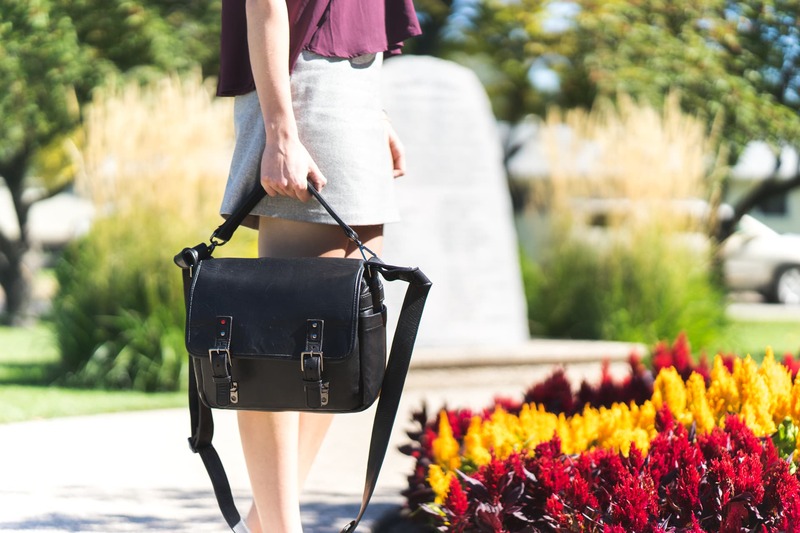 It’s not designed to have hidden pockets or to be waterproof like the Peak Design Everyday Messenger. 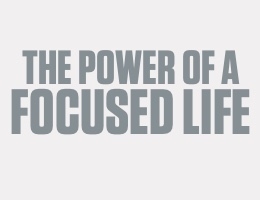 Instead, it excels — plain and simple — at looking great. The Berlin II is a leather ONA bag. Done. End of story. But unless you already have an ONA bag, it may be difficult to understand the quality of ONA leather. ONA leather is quality. It’s the thickest, heftiest leather I’ve ever felt in my life, and it smells equally as great to boot. As many have said, ONA leather finds a way to ruin all other leather — I thought I liked the leather on my old wallet until the Berlin II smashed my expectations. The single red rivet denotes the Leica-branded bag. 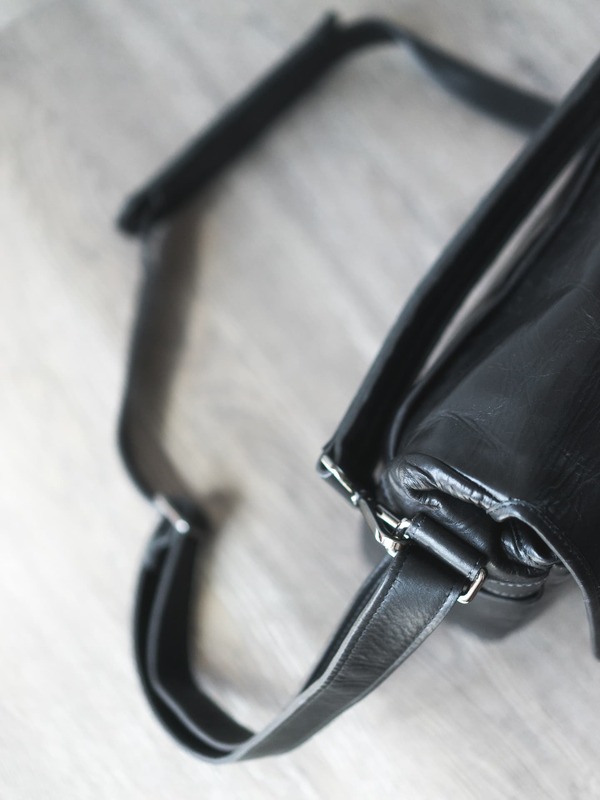 The Berlin II is one of only a few ONA bags that comes in black leather. I like the way the light reflects off the high gloss black. 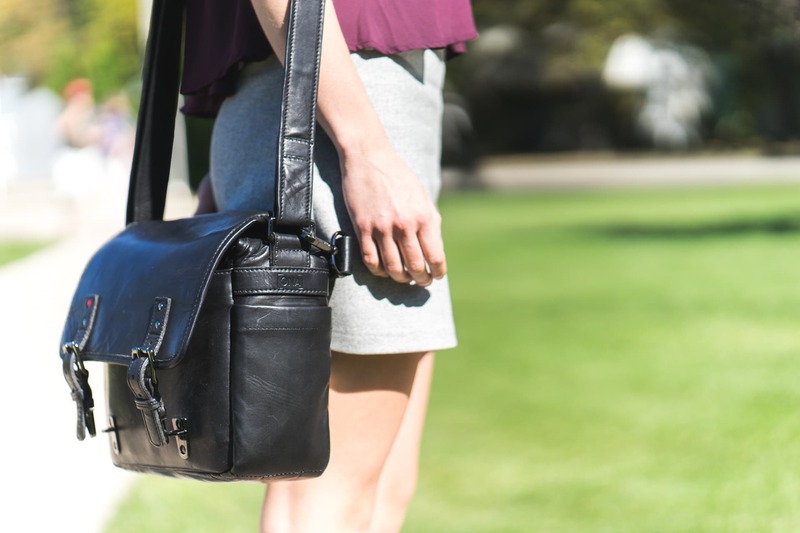 However, unlike other ONA bags, the Berlin II has a shinier finish to its leather surface. The full-grain leather comes shiny and scuff free out of the box, but picks up a nice patina over time. I also like the way the leather has begun to wear in at its seams and folds, making for a special character that is unique to my bag. The Berlin II is a casual bag that can be taken to just about any scenario, assuming you don’t want to take all your gear with you. When I purchased the Berlin II, it was one of the very few ONA lines which had a black leather option. I thought the black leather looked stunning in photographs, so I bucked the trend further. The black leather is extra shiny straight out of the box, and I love the way the red interior and the single red rivet stand next to the stylish black exterior. The inside is a fiery red, the same as Leica’s brand. 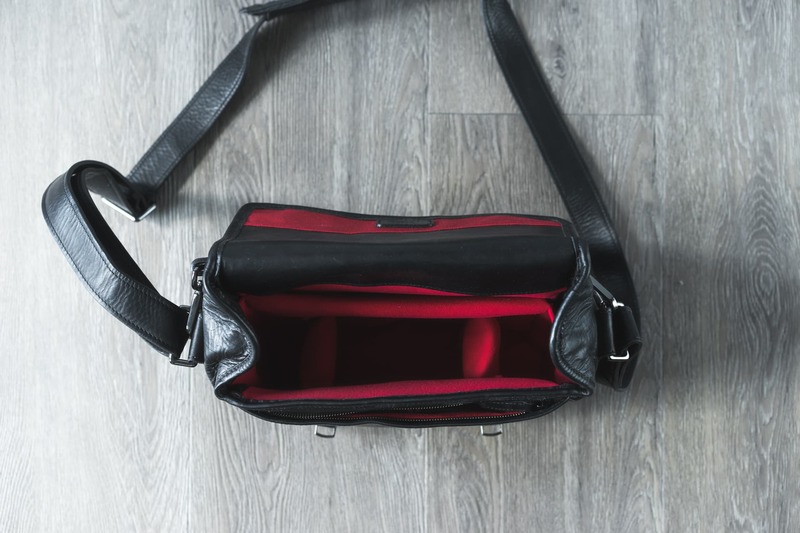 I’m a huge fan of the red-on-black look of this bag. Inside, the Berlin II is blazing Leica red. All the plush dividers have a searing character about them and there is little denying where the Berlin II finds its inspiration. The inside of the heavy flap has a canvas lining, with a thick, supple ONA leather logo stitched on top. The sides of the flap have lots of extra leather that fold in on itself when the Berlin II is closed, funnelling any rain water out and away from your gear inside. The interior is soft to the touch and there’s little worry in putting in glass and cameras. The dividers are all attached by velcro and are fairly easy to rearrange if you need a different organization scheme. The tablet divider, I feel, wasn’t created long enough to be fully adhered to the sides of the bag. Instead, the velcro has pulled away over time, causing the dividers to be looser than I’d like. This could be attributed to my stretching the exterior leather with larger, full-frame lenses, but I remember that velcro pulling away right from the onset. Inside: Sony a7II with vertical battery grip, Zeiss Batis 25mm f/2, Zeiss Batis 85mm f/1.8, iPhone 6s, Bellroy Note Sleeve, and an extra battery. Inside: Same as the above, except the vertical battery grip has been set aside to allow for the extra Sony Zeiss 55mm Sonnar f/1.8 lens. 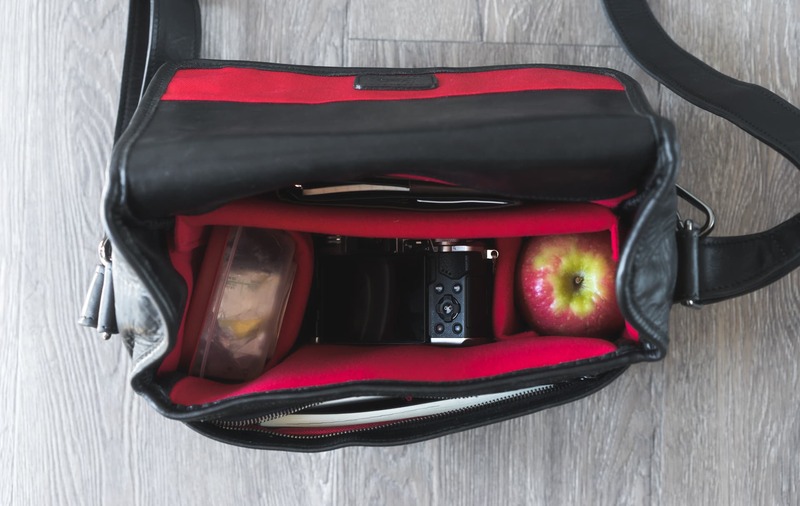 Inside: A separate carry, with an Olympus OM-D E-M5 Mark II and Panasonic Leica 15mm Summilux, along with an apple, a container for lunch, a Hobonichi Techo, a couple pens, and the Bellroy Travel Wallet in the tablet sleeve. The Berlin II is sized between the smaller Bowery and the slightly larger Prince Street. The Berlin II is designed to carry one Leica M camera body and three M lenses, some personal items, a 9.7” iPad, and some papers in the back sleeve. Of course, you don’t need to store a Leica M inside — I had no problem carrying two small Olympus OM-D bodies and a couple lenses, or my Sony A7II with one attached lens and two separate lenses. 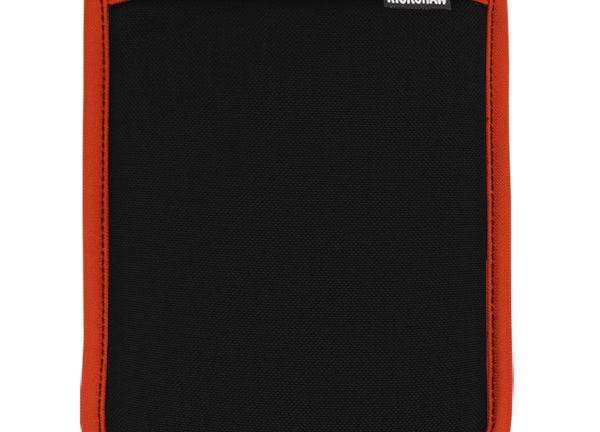 However, it’s not possible to get any computer larger than a 9.7” iPad into the tablet sleeve. I figured the sturdy leather would break in and loosen over time, allowing a 12” MacBook to fit inside. The 12” MacBook is just barely too big to fit inside the tablet sleeve and the 12.9” iPad is much too large for the Berlin II. 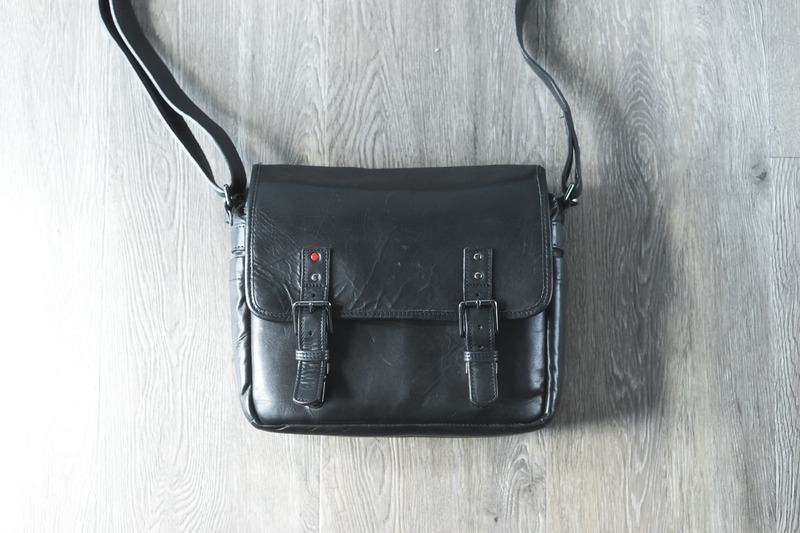 If you look at ONA’s messenger bag page, you’ll notice the difference in shape between the shorter, plumper Prince Street and the narrower, taller Berlin II. It’s this difference in width that actually causes the most problems with wider laptops and bigger iPads. The added height is handy for putting things on top of your lenses and camera, but I’d trade an inch of height for an inch of width any day. The ONA Bowery’s two front pouches are sized perfectly for a Field Notes or other smaller items, but the Berlin II’s front zipper pouch has a built-in organizer instead. None of the sleeves are large enough to hold a single Field Notes, so any memo books will have to be put in the bigger pouch in front of the stitched-in organizer. There are a few pen loops for storing a few pens and the sleeves are nicely sized for extra batteries. The front organizer pocket is actually quite difficult to get inside thanks to the stiff leather. Only now, after a year of ownership, is the leather broken-in enough to get inside. However, the front pocket’s far bigger issue is its tightness. 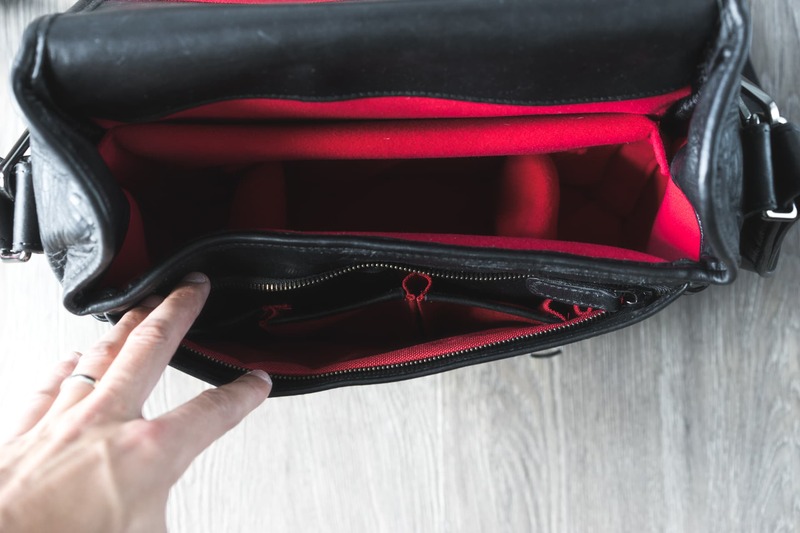 The zipper pocket is very hard to access, especially out of the box, as the thick, non-broken-in leather has to be massaged before the pocket becomes usable. Only now, after a year, do I use the front pocket to store extra SD cards or batteries. Before the front pocket was broken in, I actually kept small items on top of my lenses in the main compartment. Much like Ben’s complaint about the tight side sleeves in our ONA Bowery review, the front pocket of the Berlin II needs a lot of breaking-in before its usable. If the front pocket needs to be broken in, the side sleeves on the Berlin II are no different. In fact, they’re worse. To this day, I still can’t put anything in those side sleeves. The back of the Berlin II has an extra sleeve for storing some papers or small books. It’s magnetically shut as well. The back of the Berlin II has a nice sleeve for storing that aforementioned Field Notes book or a small magazine. The sleeve opens and closes via a magnet, which is a great way to secure everything inside the sleeve. 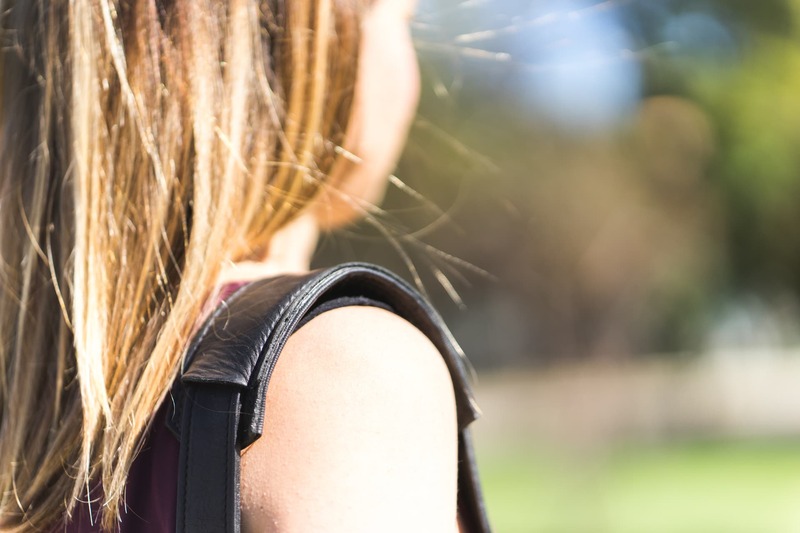 For much of my first year of ownership, the back sleeve acted as my front pocket — my catch-all pocket for extra items, batteries, notebooks, and keys. The hand strap is wonderfully made, and can be removed if necessary. The Berlin II’s hand strap is of the highest quality. The thick leather feels incredibly strong in hand, and the gunmetal buckles are extremely durable. The hand strap can be removed, if necessary. 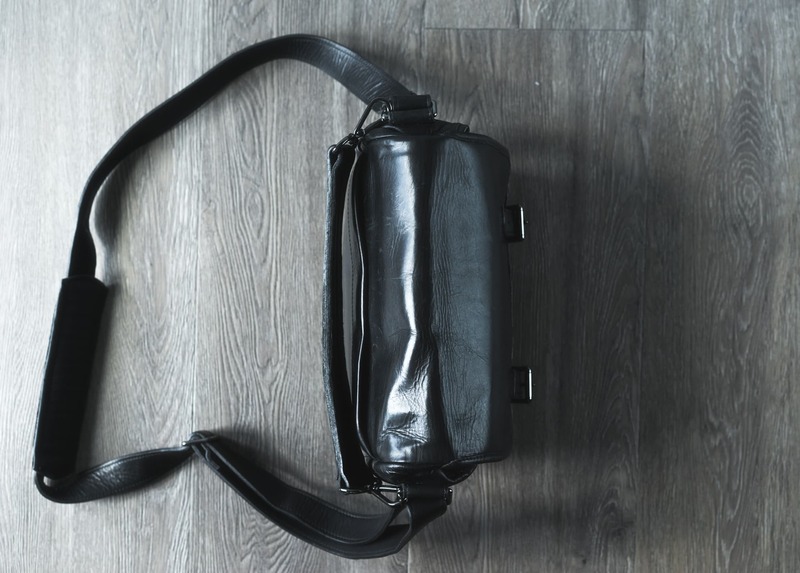 Like the hand strap, the shoulder strap is long and sturdy, ready for many years of solid use. The shoulder pad is very soft and helps ease the heavier leather weight on your shoulder. The shoulder strap is even more impressive. 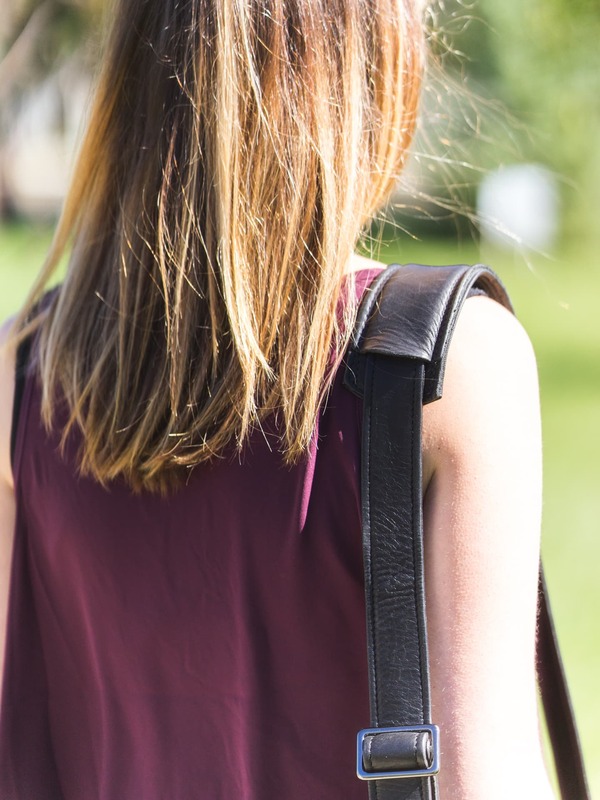 The Berlin II’s shoulder pad is extra cushioned and super supple, comforting your shoulder as you carry the relatively heavy leather bag. The strap is easily extended, although long periods of use at one length cause the leather to get broken in at one point. This can make it fairly difficult to slide the shoulder pad to a new location if you need to shorten the strap. The zipper and front buckle attachments are all made of high quality gunmetal. Again, just like the zipper, the side buckles for the hand strap are equally well made. Of course, all the Berlin II’s buckles and zippers are of the highest quality. As mentioned, those gunmetal buckles look and feel superb, and their quality extends to the front buckles as well as the organizer pocket’s zipper. 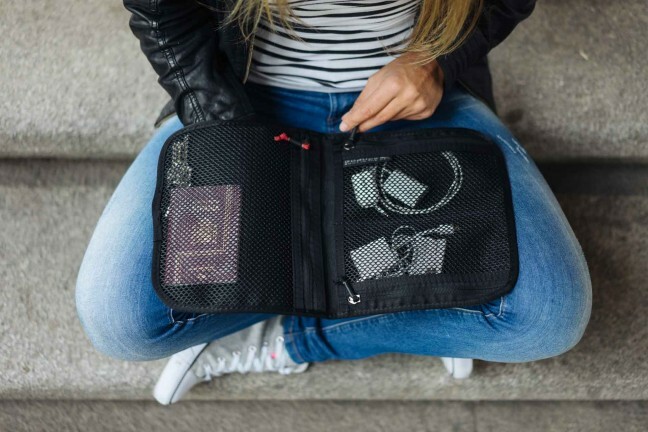 The zipper is particularly sturdy and has decades of use in it. My only gripe with the buckles are how they click against one another when they are left open and when walking. Opening and closing is easy enough though, so this is a small gripe. The front brass buckles click back and forth when you walk with the buckles open and this can range from slightly annoying to extremely annoying. 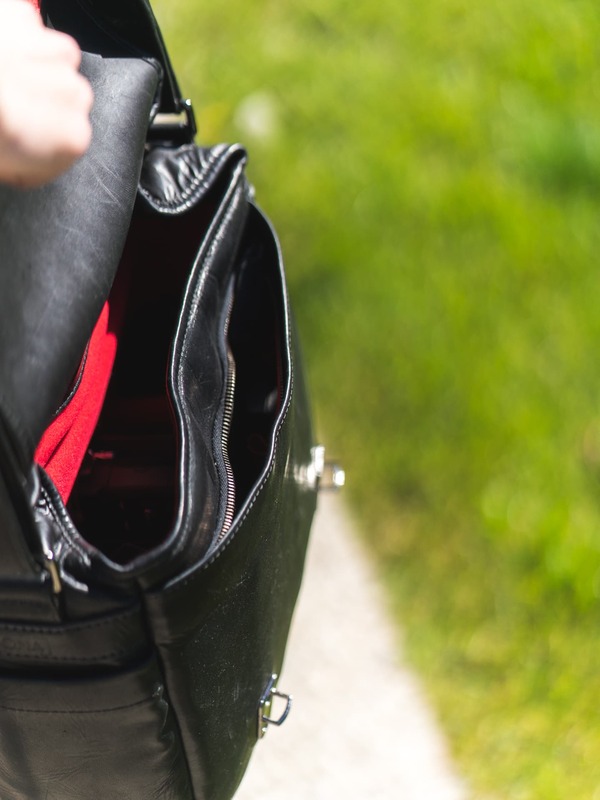 Opening and closing the bag is extremely easy though, so quickly reattaching the buckles before continuing your stroll isn’t the end of the world. All the greatest materials in the world are no good if they don’t amount to a bag you use on a normal basis. The ONA Berlin II is not an everyday bag. 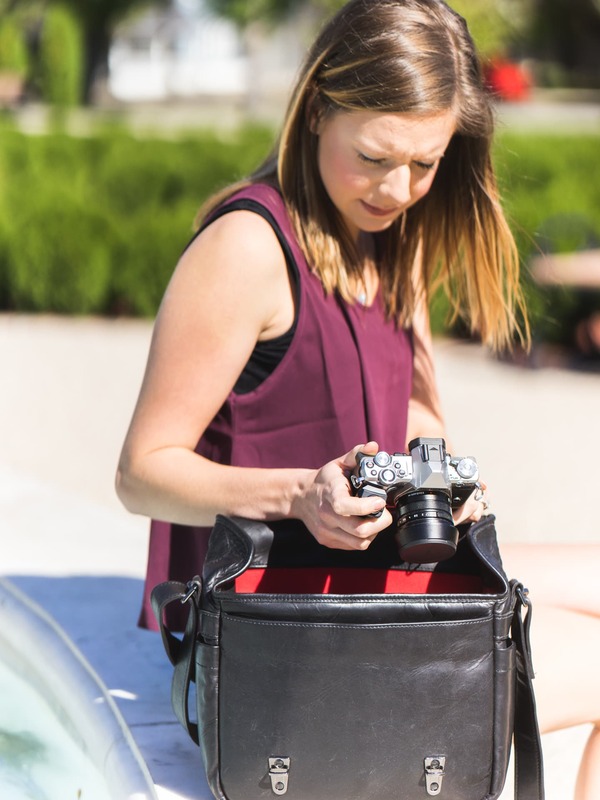 It’s not the bag a professional photographer would use to carry all their gear. It’s also not the bag a casual photographer would use if they planned to go for a hike or on a trip. Instead, the ONA Berlin II is a bag meant for casual evenings or for a stroll through the park. 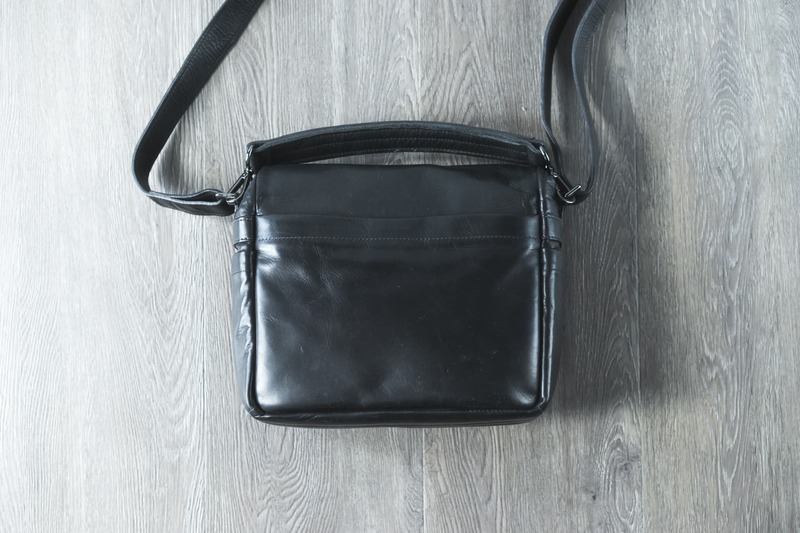 It’s a simple bag ideal for a few lenses, a camera, and maybe a pen and some paper. I actually find it to be perfect for day trips to Winnipeg. But throughout my year of ownership, I’ve looked ambivalently at my Berlin II. It’s just not my carry-all bag. It can’t be. It wasn’t designed to be. And it reminds me more of my poor choice in ONA bag. I should have purchased the Prince Street. 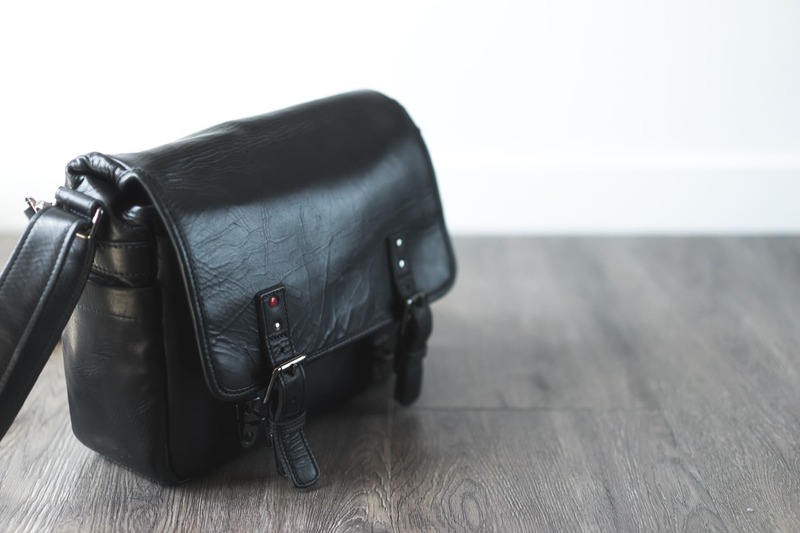 The Berlin II can be taken to just about any formal or informal event, however it’s just not big enough to be a wedding photographer’s only bag. Most importantly for me is the inability to carry a laptop. When I purchased the Berlin II, I had a 9.7” iPad Air 2 and no laptop. Now, I have a 12” MacBook and no iPad. The change in my portable device has led me to strongly consider a change in my casual camera bag. Moreover, when I purchased the bag, I shot exclusively with two Olympus OM-D bodies. A year later, I shoot a larger Sony A7II and with larger Zeiss lenses. The Berlin II was designed for Leica M bodies and Leica M glass, which are much smaller and more compact than any full-frame Sony/Zeiss option. I can fit the A7II with vertical grip without an attached lens, along with two other lenses in the side dividers. I can leave behind the grip and have an A7II with 25mm, 55mm, and 85mm lenses, but this is about all I can fit inside. I’ve considered the idea of moving up to the larger Sony 85mm f/1.4 GM lens, but the shear size of the lens in comparison to my already tight-fitting Zeiss 85mm f/1.8 has acted as a strong deterrent. If I were to look at this bag as a secondary backup bag, I think I’d be a lot happier. Aside from my issues with size, there really is very little to dislike with the Berlin II. 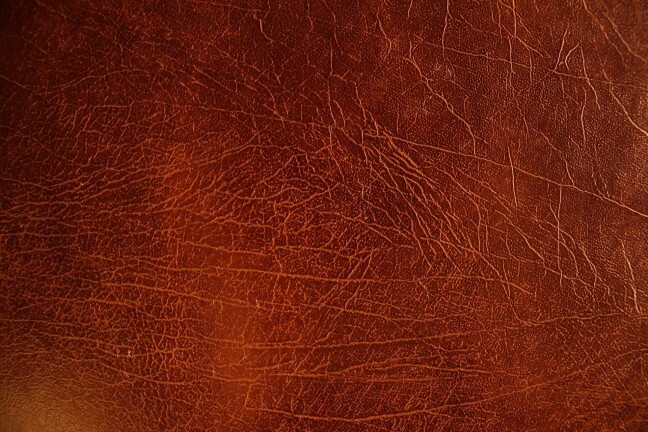 The leather is soft, yet durable, and extremely stylish. All the brass buckles have the highest quality feeling that look to last for many years to come, and the zipper is big, durable, and ready for all the zipping you can throw at it. I doubt a bag like this would ever go out of style, so if you can get past the size issues, you’ll likely end up handing it down to your grandkids decades from now. Price gets its own heading this time around. The ONA Berlin II is not an inexpensive bag. It has high end materials with high end style in mind. But most important to the Berlin II’s price is the Leica factor. Even though the Berlin II is a smaller bag than the Prince Street and, therefore, has less material, it still commands a small premium. The Berlin II is priced at $399 USD — nothing short of jaw dropping. This is not a cheap bag, by any stretch. At $399 USD, it feels like the Leica-styled bag also comes with a Leica-styled premium. I hate it when people ask me the “Is it worth the price?” question. It’s even more difficult to answer with the Berlin II. Honestly, I don’t think the Berlin II is worth the $399 USD. In much the same idea that a Leica is rarely worth the small fortune, I don’t believe the Berlin II is worth the added premium over and above the Prince Street. It truly feels like you pay extra money to have that red rivet. This being said, if the Berlin II were to be priced the same as the Prince Street, I’d say you have a tough choice to make. I wholeheartedly believe both bags are worth their price tags — I just don’t think the Berlin II is worth the added premium over and above the Prince Street. They should be priced the same, or the Berlin II should be slightly less. Fortunately, if you’re ready to dump money into a leather ONA bag and the Prince Street or Berlin II are within your range, the extra $10 to get the Berlin II isn’t absurd. I think I have to admit to some buyer’s remorse. I wanted to believe I didn’t need a Prince Street’s size, and I certainly wanted to be different than everyone else on the team. These two wants led me straight to a slight regret. Does that mean I dislike the Berlin II? No way. The bag’s quality is something I like to show off to curious friends. It’s a bag I like to carry over my shoulder in the latter part of the evening as I walk into the coffee shop. And, if it were bigger, it would be the bag I would take to the firm each morning. Instead, I’m wishing I had gone with a larger option. Although the price and size of the Berlin II are a little head-shaking, I still find myself oddly entranced by the bag. It’s quality is second to none, and it looks stunning. I just wish it were bigger. But hey, owning the Berlin II is like being stuck in Barcelona because of a missed connection — there are a lot of worse places to be, and there are a lot of worse bags to have.